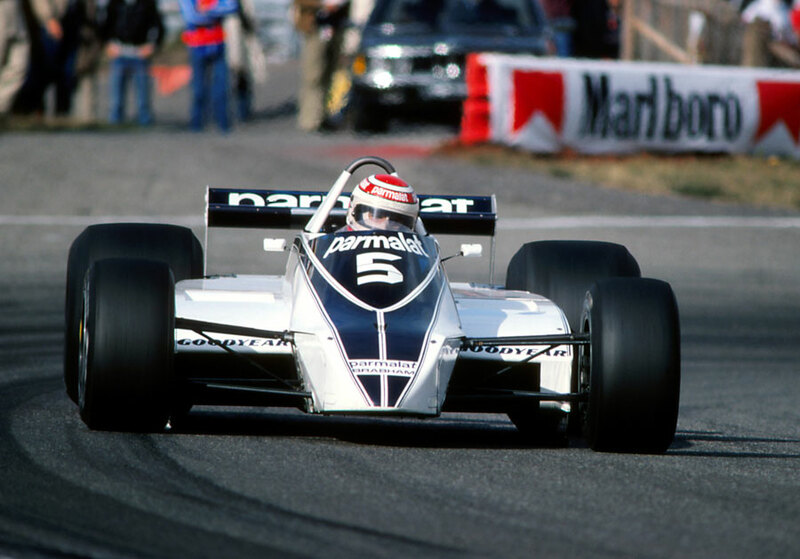 The battle between Alan Jones (Williams) and Nelson Piquet (Brabham) for the world championshop closed to two points when Piquet won the Dutch Grand Prix at Zandvoort. Jacques Laffite and Carlos Reutemann also maintained slim hopes of the title after finishing third and fourth behind Rene Arnoux. Jones suffered a big crash in practice but still manage to qualify fourth and took the lead on the second lap after a good start but damaged one of the skirts in his car after driving over kerbing. After pitting for repairs, Jones struggled home 11th, three laps down on Piquet. Jones' relegation to the back of the field left five cars - Laffite, Arnoux, Jean-Pierre Jabouille, Gilles Villeneuve and Piquet - scrapping for the lead, and Piquet took over at the front from Laffite on the 12th lap. Villeneuve stopped for new tyres and then Jabouille quit with handling problems after four pit stops. Behind Piquet and Laffite, Mario Andretti, having his best race of a wretched season, was involved in a ding-dong fight with Arnoux and Reutemann, and they were joined by Jones who was three laps in arrears but back to full speed. Andretti's race ended when he ran out of fuel two laps from the finish. Laffite slowed in the latter stages and three laps from the end was caught cold by Arnoux, whose Renault was going faster on a reducing fuel load. Derek Daly had a lucky escape when his Tyrrell suffered front suspension failure braking at the end of the straight. His car flew into the tyre barriers and overturned - he escaped with bruises. John Watson also had a close shave when his McLaren crashed at speed in practice. "It was a potentially fatal accident," he admitted.